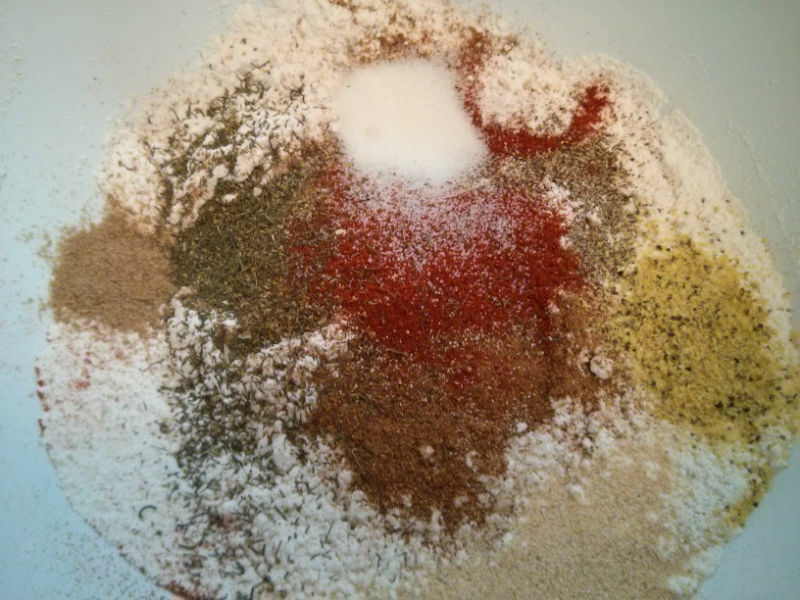 Combine the sifted flour, cayenne pepper, old bay seasoning, paprika, lemon & pepper seasoning, garlic powder, ground coriander, salt and black pepper in a large bowl. 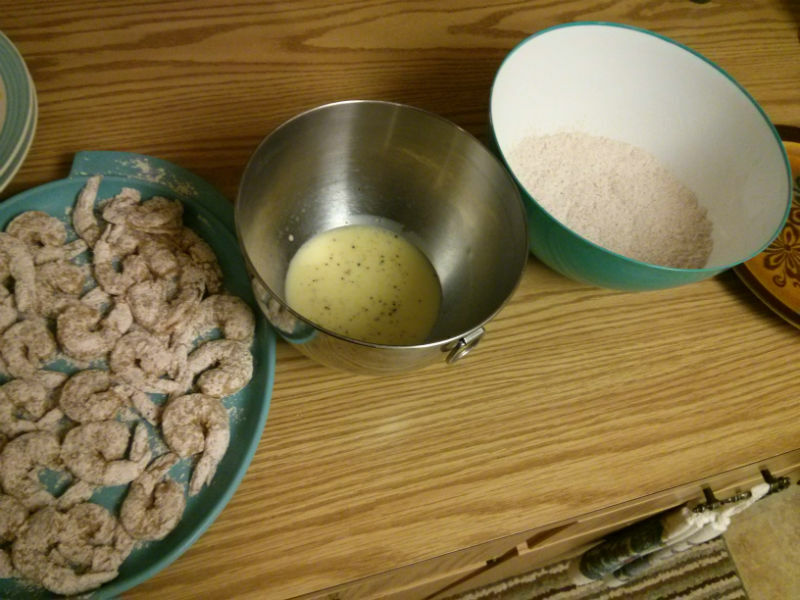 Put the shrimp into flour mixture, coating each shrimp evenly and placing them on a plate. Whisk egg and splash of milk in a bowl and set aside. 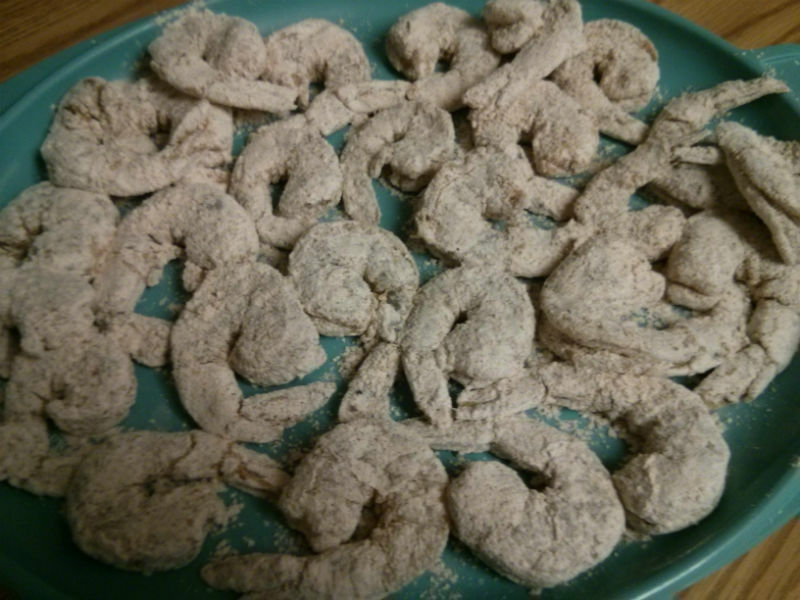 Place shrimp in egg wash coating them completely, then to flour mixture coating them completely, then onto a clean plate. 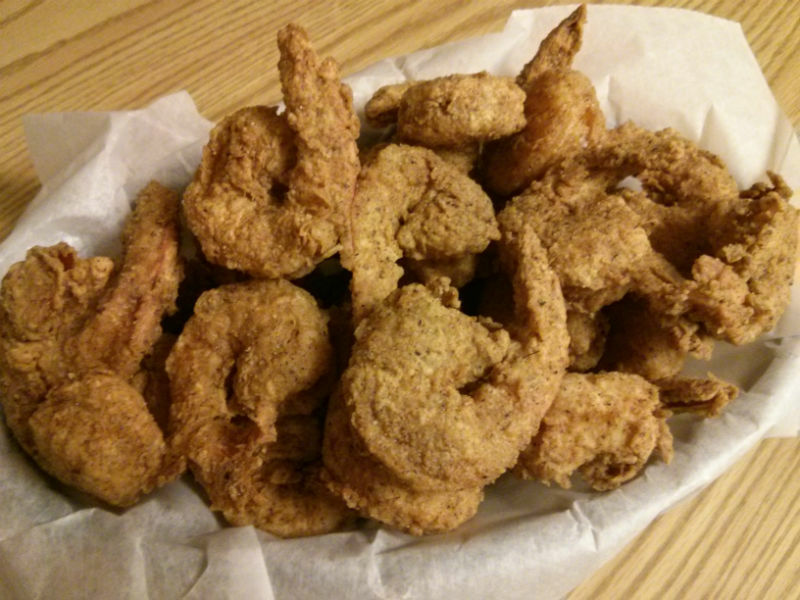 Heat oil in a deep fryer to 375 degrees F. Make sure you have enough oil to cover the shrimp entirely. 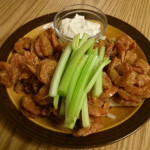 Fry shrimp in batches for 3-4 minutes until golden brown. 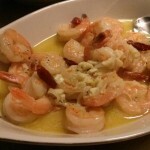 Remove the shrimp from the oil and set them on paper towels to drain. 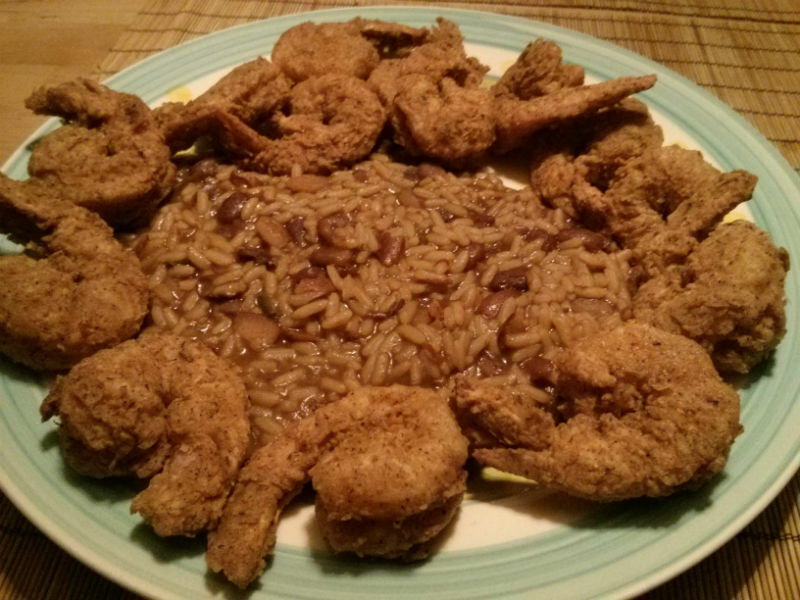 Serve in a basket with some Remoulade Sauce or with your favorite Red Beans & Rice. Inspired by the dish I ate passing through Louisiana in the mid 90's, at a little hole in the wall place with some of the best tasting food I have ever eaten. Filed Under Appetizers & Tapas, Seafood | Tagged black pepper, cayenne pepper, coriander, eggs, flour, garlic powder, lemon & pepper seasoning, milk, old bay seasoning, paprika, shrimp. Bookmark the permalink.